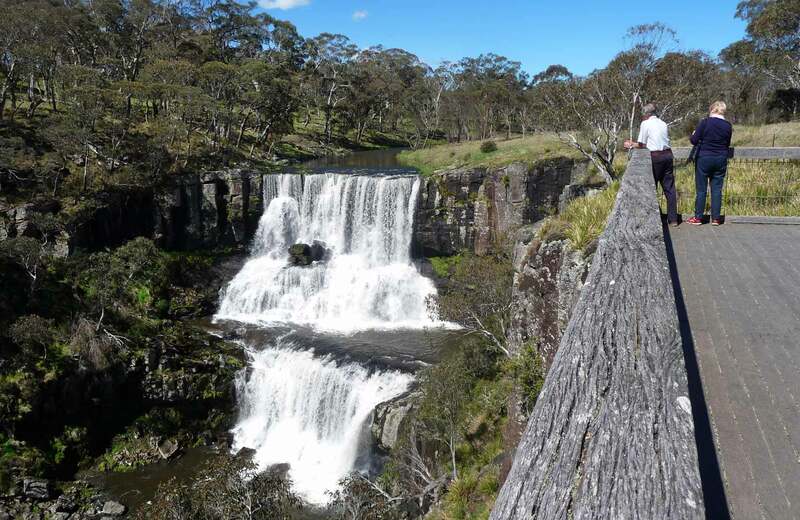 All the practical information you need to know about Ebor Falls. From Ebor, head west on the Waterfall Way towards Armidale for 1km. Parking is available at Ebor Falls. There are lots of great things waiting for you in Guy Fawkes River National Park. Here are some of the highlights. Great camping weather when the days start cooling off, yet the water in the river is still warm. Look out for native wildflowers around Ebor Falls, including everlasting daisies, native violets and small-fruited hakea. Paddle in the creek at Chaelundi campground or swim, canoe or fish on Boyd River at Dalmorton. Adventure sports like climbing, caving, canyoning and abseiling offer a thrilling opportunity to explore our unique environments. Before you head out, be aware of the risks and stay safe during adventure sports. Assistance may be required to access this area. Wheelchair-accessible toilets are available. Guy Fawkes River National Park is always open but may have to close at times due to poor weather or fire danger.